God-men, inspired by the Roman Empire’s style of government and linked with traditional Christianity, have come and gone in Europe for almost two millennia. In the last issue of Vision we looked at a Eurasian manifestation of the ruler cult as it played out in the history of the Soviet Union under Lenin and Stalin. 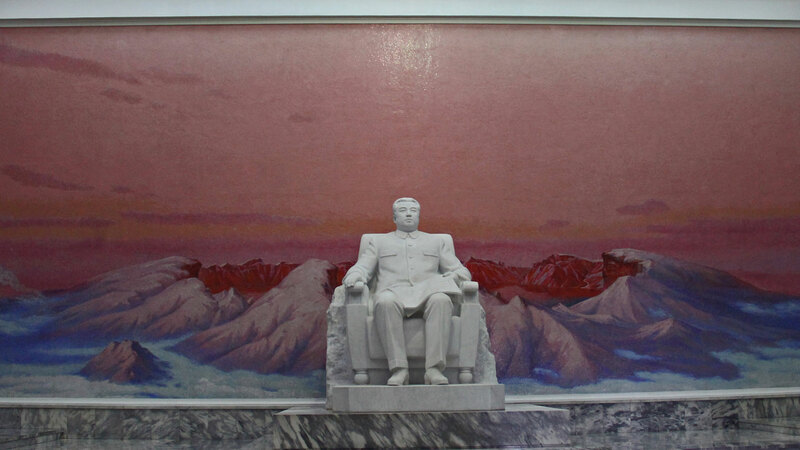 Kim Il-sung of North Korea created his own postcommunist Juche ideology of self-reliance, perpetuating a personality cult and savior dynasty. Manipulation of religious sentiment is an important element in the rise and rule of false messiahs, and even atheistic states have succumbed to the temptation to call on the power of piety. 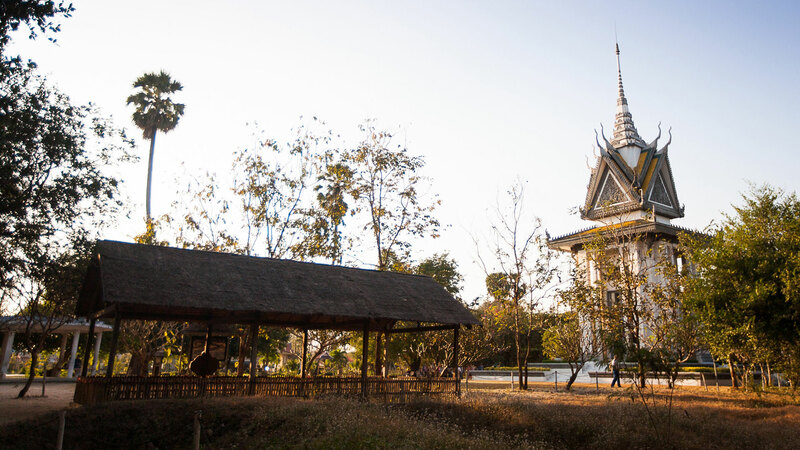 With the spread of totalitarianism and communism in the 20th century, it should not surprise us to find examples of messianic political aspirations in modern oriental Asia, nor to find indigenous antecedents in its ruler cults. China’s Mao Zedong, Cambodia’s Pol Pot, and the Kim dynasty of North Korea have all claimed savior status. And they have all called on historical precedent and religious sentiment for legitimacy. The rise of Chinese communism dominates recent Asian history. Though the mindless brutality of the Soviet Union under Joseph Stalin shocked the world to the core, exceeding even that of Adolf Hitler, Mao’s violent rule remains unsurpassed in modern history. Mao received the Cambodian Khmer Rouge leader Pol Pot in Beijing in June 1975 to congratulate him on installing radical communism in one fell swoop. Before we examine the appalling details, it’s helpful to take note of Mao’s 19th-century precursor, a man with his own extraordinary pretensions. About 50 years before Mao’s birth in 1893, China suffered the depredations of a different kind of god-man under the self-proclaimed “Heavenly King,” Hong Xiuquan. Hong was of the Hakka people from southern China’s Guangdong province, adjacent to Mao’s birth province of Hunan. Mao had a favorable impression of Hong’s messianic regime and took it as an inspiration, using it to legitimate his own. It would prove to be a fateful comparison. Hong claimed to have had a mystical experience in 1837, a dream in which he said an old man with a golden beard and a black dragon cloak told him to rid the world of evil, and especially of its idols. In the vision, he received a sword and a seal and the help of another middle-aged man. Though he did not immediately claim to understand the dream’s meaning, one of his literary works that year, “The Poem on Executing the Vicious and Preserving the Righteous,” presaged the violence that would soon be associated with his quasi-Christian utopian kingdom. In 1843, Hong suffered a depression following repeated failure in his attempts to pass the all-important civil service examination—a key to status and prosperity in imperial China. In his distressed mental state, he read a book that had been on his shelf for several years, the gift of a friend. Good Words for Exhorting the Age was a collection of nine tracts by the first Chinese Protestant evangelist, Liang Fa, aimed at explaining Christianity to his people. As a result of Liang’s abbreviated version of the Bible’s essential message, Hong came to believe that the mysterious golden-bearded elderly man in his vision was none other than God the Father. The middle-aged man was Jesus Christ, and he, Hong Xiuquan, was Jesus’ younger brother. He thus convinced himself that he was the new messiah sent to save China. Baptizing himself, Hong believed that he had now become a Christian. In another indication of the kind of rule he would introduce, he immediately ordered the forging of two giant weapons, named “demon-killer swords,” symbolic of his desire to rid the land of Taoism, Confucianism and Buddhism. As a teacher, Hong was able to convert some of his fellow workers to his beliefs, and they began to remove the traditional Chinese wooden tablets honoring Confucius from their schools. Public reaction was so severe, however, that Hong fled on foot, walking 300 miles to the western province of Guangxi. There a companion founded a sect, the “God-Worshipers Society,” of which Hong became leader in 1847. Hong’s published series, Ode on the Origin of the Way and Our Salvation (1845–48), no doubt incorporated in part his severe interpretation of the teaching of an American Baptist missionary, Issachar Jacox Roberts. They studied together for a few months in 1847. In all of this Hong was readying himself to announce his stern, theocratic “Heavenly Kingdom of Great Peace” (Taiping). Nothing significant happened, however, until the Chinese government attempted to quash the God Worshipers by force in 1850. It was then that the Taiping Rebellion broke out and Hong and his armed followers moved steadily northward, taking control of an estimated 600 cities. As they did, they were joined by tens of thousands of disaffected peasants who objected to British colonialism and its support by the weak Qing (Manchu) dynasty in Beijing. Hong’s proposed reforms—he was against opium smoking, gambling and prostitution—resonated with the local people. In March 1853, with an army now numbering close to one million, Hong captured Nanjing, renaming it “Heavenly Capital” (Tianjing). But heaven it was not. Infighting and an aversion to the work of governing on the part of the Heavenly King took its toll. Hong murdered two of his generals and began to spend more time in religious contemplation or in his harem. Within a decade, the Taiping capital was under such great stress that Hong’s generals advised retreat. He refused, saying that God would provide, even if Tianjing were besieged. But in June 1864, with his own health in decline, Hong committed suicide at the age of 50. Just short of seven weeks later, Qing troops, accompanied by Western military advisors, took the city and slaughtered an estimated 100,000 Taiping adherents. But that shocking number was merely a token of the 20 million people who had died from war or starvation during the reign of Hong Xiuquan—the man much admired by Mao Zedong. Mao was born into a fairly wealthy peasant family in the remote Hunan village of Shaoshan. His father, with whom he developed an antagonistic relationship, was hard-working, while his mother was tolerant and doting. Mao’s early Buddhist attachment, fostered by his mother, would eventually give way to interest in Marxism-Leninism. In 1911 he enlisted in the revolutionary army fighting against the Qing dynasty in his local region. This brief military experience as a teenager confirmed his admiration for his childhood heroes: Chinese emperor-warriors, the revolutionary George Washington, and the aspiring neo-Roman emperor Napoleon. With the overthrow of the Qing rulers and the birth of the Chinese republic, Mao returned to school, where he became involved with student groups. One of them, the New People’s Study Society, founded in the winter of 1917–18, produced many communist party members in the years that followed. After graduation, Mao relocated to Beijing, walking much of the way. There he began work as a librarian’s assistant. His stay coincided with an outburst of Chinese anti-imperialism in response to the unfavorable terms of the post–World War I Treaty of Versailles: German concessions in Shandong, birthplace of Confucius, were to be given to Japan rather than returned to China. The creation of the cultural and political May Fourth Movement of 1919 was one spontaneous response. China refused to sign the treaty and would eventually make a separate agreement with Germany. In 1920, Mao became principal of a school in Changsha and organized a Communist Youth League branch there. The upheaval caused by the May Fourth Movement soon led to the founding of the Chinese Communist Party (CCP). Mao had already come under the influence of the two men who began the party—his mentor Li Dazhao (Beijing University’s chief librarian, history professor, and supporter of the Bolshevik revolution) and the anarchist intellectual Chen Duxiu (organizer of the May Fourth Movement). Mao attended the first session of the national congress in July 1921 and was elected as one of the commissars of the Central Committee in 1923. In 1924–25 he spent time at home in Shaoshan. There he witnessed the peasants’ potential for revolutionary activity when they demonstrated against foreign police suppression of Chinese people in Shanghai. Li’s views on Marxism-Leninism had already formed the center of Mao’s thinking. Li believed that the Chinese peasantry replaced the urban proletariat of Marxist theory. By the time of his mentor’s death by execution in 1927, it had become clear to Mao that there were far too few among China’s urban working class to make a difference in any uprising. To make matters worse, the Chinese Nationalist Party under Chiang Kai-shek, with which Mao had worked in partnership for a time, had recently carried out an anticommunist coup and destroyed the urban centers of the party. Mao now recognized that China could not wait any longer for revolution to spread from the industrialized Western world and that the peasantry would have to be mobilized to defeat the forces of Chinese imperialism. Mao emerged as leader of the newly declared Chinese Soviet Republic in late 1931, with the Soviet Union recognizing his leadership and appointing him chairman, president and prime minister. By 1934 the Chinese Red Army had fought and won four campaigns against Chiang Kai-shek’s nationalist forces. But in October they were unable to withstand a fifth campaign, and so began the one-year, 6,000-mile (10,000-km) retreat known as the Long March. By this time Mao had been pushed aside as chairman—a reaction by his colleagues to his first great purge. Though he did not regain a leadership role in the party until several more months had passed, the mythology of the Long March has made him the Chinese Moses leading his people to freedom. Certainly no one can fairly record the history of modern China without recognizing the trials and tribulations of the 80,000 involved in the journey. Completed by fewer than 4,000, according to Chang and Halliday, the march remains the founding myth of communist China. Along the way, the marchers politicized the peasantry, terrorizing “landlords” and turning their holdings over to the peasants. Documentary-maker Sun Shuyun details the memories of surviving pioneers of the arduous journey in her 2006 book. But she also allows her interviewees and her on-location research to overturn some of the associated mythology and to further reveal Mao’s capacity for extreme brutality, well before the infamous Great Leap Forward (1958–60) and the Cultural Revolution (1966–76) took their toll. In the latter, Mao even murdered most of the remaining Long March veterans. At the end of the march in the fall of 1935, the remnants of the Red Armies set themselves up in Yenan in northwestern China’s Shaanxi province. It was here that Mao was able to consolidate his power, covertly cooperating with the Japanese during their invasion of China. Between 1936 and 1944 he had time to create his own Chinese version of Marxism-Leninism, writing several theoretical works. This alienated him somewhat from his Soviet financial supporter Joseph Stalin (the supplier, beginning in 1940 and annually for a few years, of $45–50 million, at today’s value). Stalin did not believe that the Chinese communists could achieve a proletarian revolutionary state without the partnership of Chiang Kai-shek. The change in the war’s balance against the Germans and Japanese in 1945 was to prove the Soviet dictator wrong. During the same period, terror and torture campaigns against his own communist supporters remained one of Mao’s primary methods of maintaining power. His deputy and terror organizer, Kang Sheng, had participated in Stalin’s purges in the Soviet Union. Mao continued to violently coerce his own supporters until it was apparent that the Japanese would be defeated in World War II and the Red Army would have to face the nationalists for control of China. At that point, hypocritically, he began to apologize for the suffering he had caused. He now needed the young cadres and the experienced military leaders to fight the nationalist enemy. Meanwhile, Mao put in place the personality cult for which he became infamous. The terror campaign made it easy for him to rule out criticism of his leadership once and for all. According to Chang and Halliday, some recalled it as the period when it was “firmly established in our minds that Chairman Mao is our only wise leader.” His deification was thus rooted in terror and a construction of his own making. 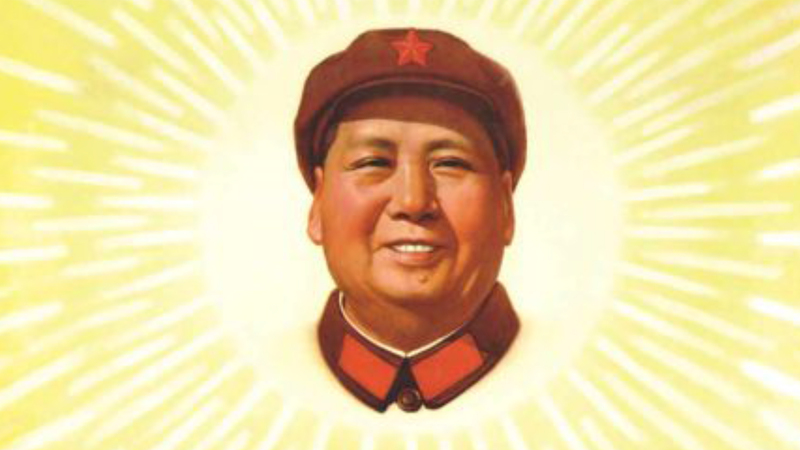 The Liberation Daily announced in headlines, “Comrade Mao Tse-tung is the Saviour of the Chinese People!” Badges with Mao’s image appeared on people’s clothing, his portrait in their homes. In early 1945, at the Seventh Party Congress stacked with his own loyalists and terrorized “supporters,” he had himself recognized as the supreme leader of the CCP. He was now China’s Stalin. The four years that followed saw the country thrust into civil war, during which unspeakable acts of violence, brutality, torture, starvation and murder were perpetrated and encouraged by China’s communists. Peasants were taught to turn on any of their neighbors who were slightly better off or who had offended them, often in some minor way. Terror was never far from the surface in Mao’s world. The new government was soon actively pursuing a further terror campaign—this time a year of mass executions of “spies,” “landlords,” and “counterrevolutionaries.” Claiming that “only when this thing is properly done can our power be secure,” the Chairman ordered “massive arrests, massive killings.” About three million died during this time, many of them in full public view. For millions of others whose value as forced laborers was greater than the value of their immediate death, prison or labor camp was the answer. However, as many as 27 million may have died as a result of being worked too hard or of being driven to suicide during Mao’s rule. Millions of others were put under surveillance yet remained “free.” But because they could be rounded up at any time for any reason, they lived in constant fear on society’s margins. Mao’s attempt to gain superpower status for the PRC by increasing agricultural productivity and pursuing industrialization led to the second Five-Year Plan known as the Great Leap Forward. It was a disaster. Between 1958 and 1960, Mao required China’s agricultural sector to produce as much as possible so that it could be exported to the Soviet Union in exchange for industrial help. False claims were made about the country’s improving productive capacity, and critically needed staples were exported. By 1961, forced collectivization, bad weather, poor harvests and a shortage of labor—caused by drawing people away into rudimentary industrial production—had brought about the death of almost 38 million Chinese from starvation and overwork. Mao refused to accept that his policies had resulted in the worst famine in Chinese if not world history and blamed those party officials who criticized his ideas. Having lost the state chairmanship in 1959, and anticipating the blame he would receive for the disaster, he set about strengthening his personality cult and creating the means of his return. This development coincided with Mao’s establishing of the student-based Red Guards and the party officials and workers known as the Rebels or Radicals. Together they would wreak havoc on China for a decade. By 1966, Mao was ready to mobilize his manipulated student soldiers and the radical party officials. Working in the schools, the Red Guards launched the Cultural Revolution, trumpeting the thoughts of the Chairman from his widely distributed Little Red Book (a billion copies of which were printed). They were supported by military commander Lin Biao and the People’s Liberation Army. Purist in thought, the Red Guards hewed to Mao’s radical version of Marxism-Leninism. Their purge was directed at the Chairman’s enemies—from the top echelons of government to intellectuals, writers, poets, artists and, of course, the obligatory landlords. The Rebels, on the other hand, took action in the factories and administrative structures in the urban areas. The man who had taken Mao’s position as chairman of the PRC, his Long March colleague Liu Shao Qi, found himself surrounded by 30,000 Red Guards, who dragged him from his presidential palace into the street. There they humiliated and beat him, breaking his back. Sent to a detention camp, he died in isolation—all at the instigation of Mao’s wife, Jiang Qing. Mao made an extensive study of history and biography. He examined 300 case studies in Chinese history and 30 in world history. A hundred biographies of Chinese and world personalities consumed his attention. He analyzed the rule of many Chinese emperors and especially appreciated those who achieved success through cruelty and oppression. But it was not to be. In September 1976, Mao succumbed to weakness brought on by a massive heart attack in June. The Great Helmsman was no more, or so it seemed. His body was soon embalmed in the great Soviet tradition and lies in a vast mausoleum open to the adoring public in Tiananmen Square. Jung Chang and Jon Halliday, Mao: The Unknown Story (2005). Emilio Gentile, Politics as Religion (2006). Xing Lu, Rhetoric of the Chinese Cultural Revolution: The Impact on Chinese Thought, Culture, and Communication (2004). Bradley K. Martin, Under the Loving Care of the Fatherly Leader: North Korea and the Kim Dynasty (2004, 2006). Ed Jocelyn and Andrew McEwen, The Long March: The True Story Behind the Legendary Journey That Made Mao’s China (2006). Philip Short, Mao: A Life (2000). Philip Short, Pol Pot: The History of a Nightmare (2004). Sun Shuyun, The Long March: The True History of Communist China’s Founding Myth (2006). Jonathan D. Spence, God’s Chinese Son: The Taiping Heavenly Kingdom of Hong Xiuquan (1996).